The VA Ann Arbor Health Services Research & Development (HSR&D) Center for Clinical Management Research is located in Ann Arbor, Michigan. We are one of 14 centers of excellence within the Veterans Health Administration that focuses on health services research. Originating nearly 20 years ago, the VA Ann Arbor HSR&D Center of Excellence is one of the oldest HSR&D programs. Today, this Center of Excellence employs nearly 40 core investigators and over 100 project staff members. 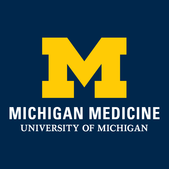 ​The Ann Arbor VA Medical Center/ University of Michigan Patient Safety Enhancement Program (PSEP) aims to improve the quality of patient care by conducting research that prevents healthcare-associated complications, including infection. ​​St. Joseph Mercy Hospital of Ann Arbor is a 537-bed teaching hospital located on a 340 acre campus in Ann Arbor, Michigan. St. Joseph Mercy Hospital has been named as a Top 100 Hospital and is at the forefront of many clinical specialty areas including oncology, cardiovascular medicine, neurosciences, women and children's health, orthopedics, and senior health. ​St. 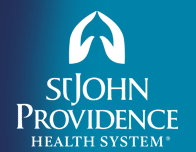 John Hospital and Medical Center, a regional destination hospital for leading-edge medical care and technology, is a member of St. John Providence Health System. SJPHS provides comprehensive prevention, primary care and advanced treatment programs with more than 125 medical centers, and six hospitals spanning five counties. The School of Nursing is an integral part of the University of Michigan and as such, subscribes to the three purposes of the University: Education, Research, and Service. The School of Nursing currently enrolls approximately 1,000 students in baccalaureate, master’s, and doctoral programs, and is consistently ranked among the nation’s top 5 schools of nursing by U.S. News and World Report. The School maintains a close affiliation with the University of Michigan Health System.